Kareena Kapoor’s desi look for Heroine! In the recent years, Kareena Kapoor has often played safe and attempted roles that would cater to wider range of audience. Last year she had Ra.One and Bodyguard and while both movies did well at the box office she did not much to do as an actress. However looking at the different pictures from the sets of Heroine so far, we feel that the actress is finally doing something different in this women-oriented film. 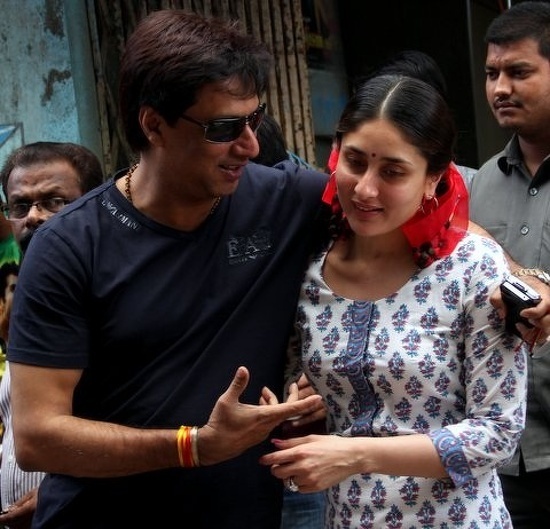 Kareena has now donned the look of a ‘village belle’ for Madhur Bhandarkar’s Heroine! 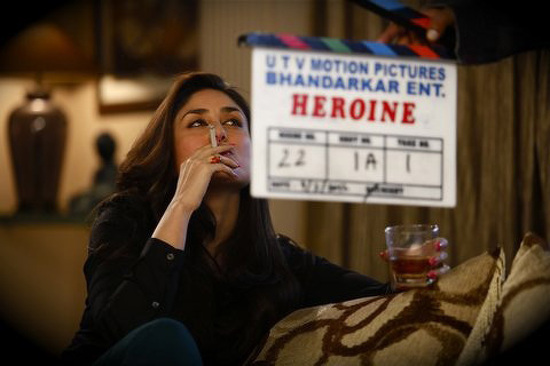 The director tweeted this picture of Kareena #Kareena on the sets of #Heroine in the “gaon ki chori” look.” he wrote. We must say Kareena looks quite cute as ‘gaon ki chori’ especially with those red ribbons. Heroine releases on 14th September 2012 and is one of the most anticipated movies of the year. Here’s Kareena Kapoor as a ‘village belle’ in Heroine. 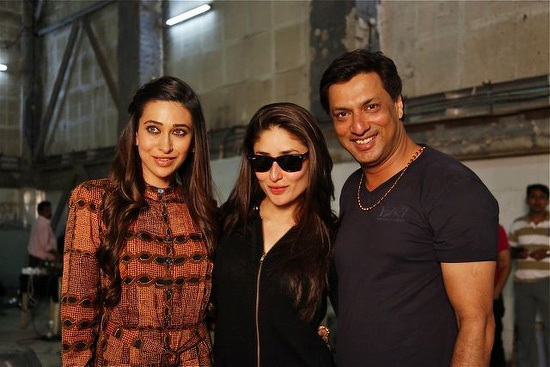 Karishma-Kareena on the sets of Heroine! Kareena Kapoor gets ready for ‘Halkat Jawani’! Kareena and Arjun in Heroine: Ravishing in black!